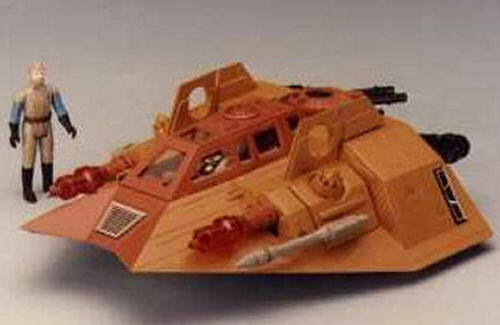 The background of this specialised airspeeder began when Kenner, in 1984, started to plan their post-Power of the Force line up. Nowadays we talk about Star Wars fatigue, but back in the mid 1980s fans faced Star Wars rigor mortis. According to Steve Sansweet, in his Tales Of Phantom Toys article (Topps' Star Wars Galaxy Magazine, Issue 2, Winter 1995), Kenner had to plan an entirely original line that would combat the fall-off of interest due to the lack of new Star Wars movies - their answer was The Epic Continues, a storyline, which was inspired by but not created by George Lucas. It got far enough into development that Kenner pitched a number of toys attached to large story arc that "concerned the genetics master Atha Prime, ruler of dark worlds, who had been freed from exile following the death of Emperor Palpatine" and kept the galaxy in conflict. Lucasfilm rejected the idea. 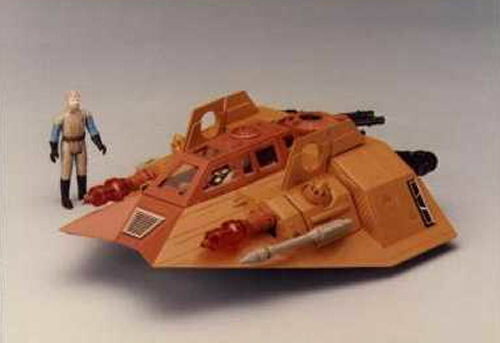 Since then a number of the original The Epic Continues designs - including the Rebel Armoured Sandspeeder, which got as far as being kit-bashed into a protoype for the meeting between Kenner and Lucasfilm in 1984 - have been reused in attempts to canonise them. 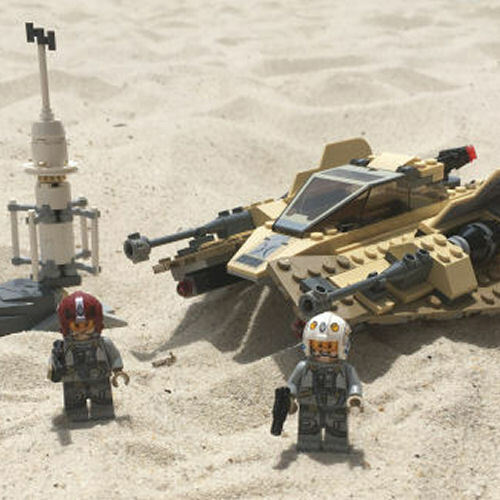 Before LEGO released 75204 Sandspeeder it had been officially adopted into the original Expanded Universe in The Battle of Cadinth, a module for West End Games Star Wars Rolepaying Game, written by Bill Smith and published in the same magazine that revealed the concept's existance. 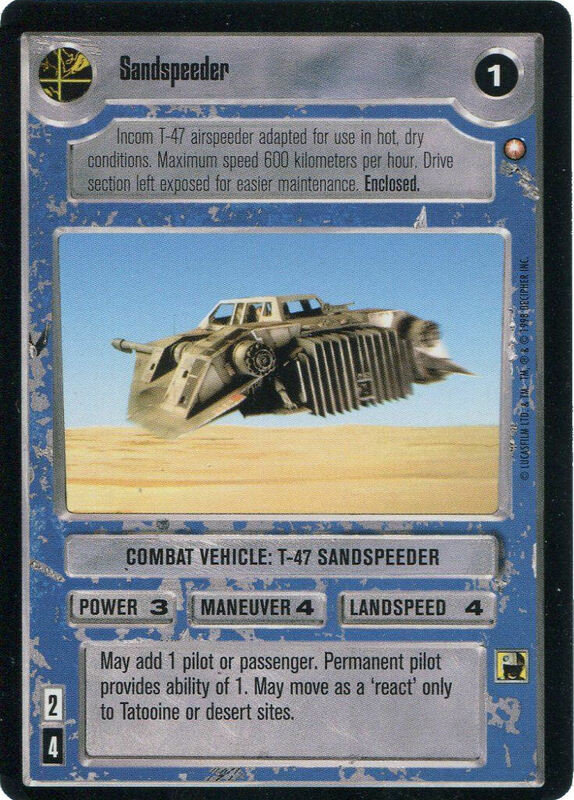 Following the release of the Star Wars Special Editions in 1997, Decipher took the next step in the advancement of the Sandspeeder when they included it in the Special Edition (Limited Edition) Booster Box set released in 1998. 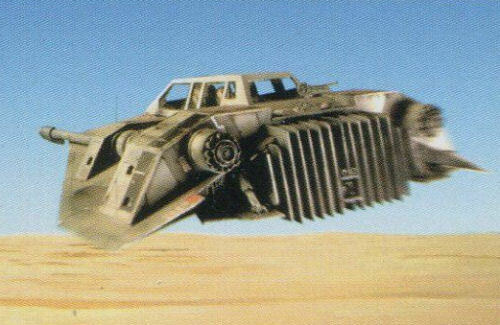 Described as a "Incon T-47 airpseeder adapted for use in hot,dry conditions", the illustration on the card was a direct screen grab of a snowspeeder in The Empire Strikes Back which was superimposed on a stock desert background. With the 2014 reboot by Disney, when large portions of the existing Expanded Universe were sent on the Long Walk, the re-telling of the Sandspeeder became fair game and Fantasy Flight Games got the honour of being first in, best dressed when they included it in the 2014 adventure gamebook Onslaught at Arda I, a standalone expansion to their Star Wars: Age of Rebellion roleplaying game. However, given the development and publishing cycle, the material is likely to be pre-reboot and is only considered canon by default. 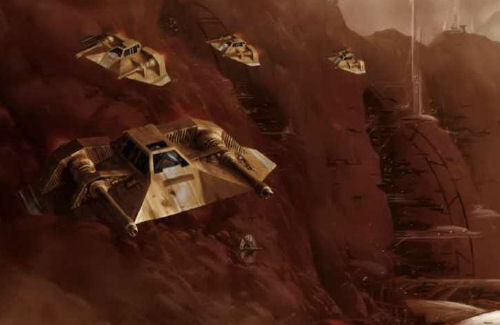 According to the game guide "The Arda Base mechanics have customized a total of eight T-47 airspeeders to better fly through the surrounding canyons, dubbing them "sandspeeders." They sacrificed the armor for increased handling and replaced the electromagnetic harpoon with an aft light repeating blaster cannon. The entire chassis has been painted a reddish-orange for increased stealth during reconnaissance missions." 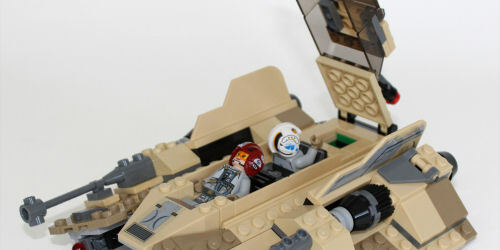 The next iteration of this adaptable airspeeder came from Hasbro in 2008 as part of their Titanium Series, a collection of detailed, die-cast vehicles that ran through to 2009 (and rebooted in 2013). This 3-inch collectible toy was available at general retail/toy stores, priced $6.99, and came with a display stand. 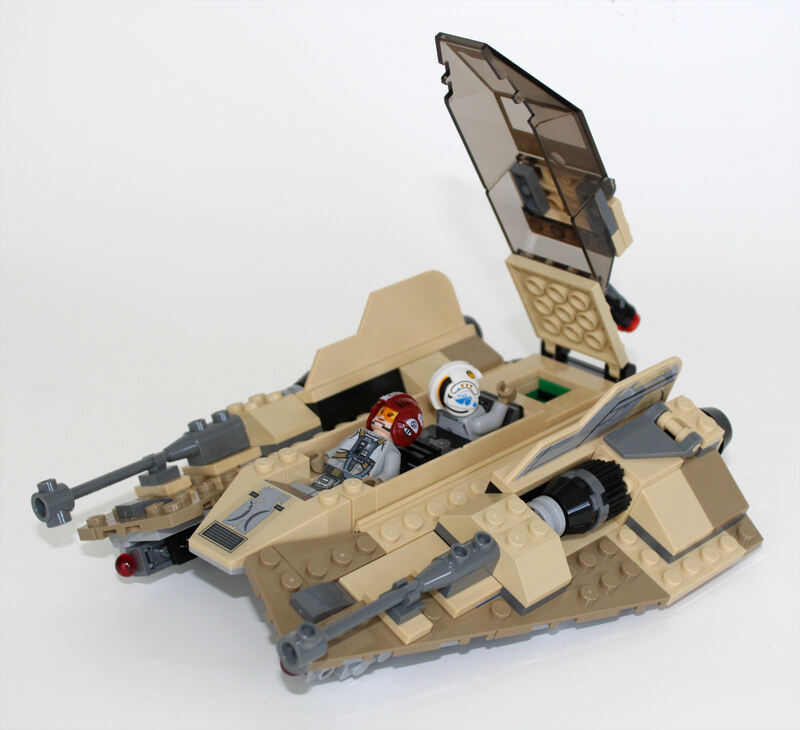 The most recent incarnation of the Sandspeeder came in 2017 with the release of 75204 Sandspeeder by LEGO. 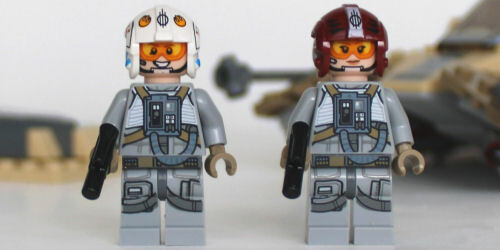 Somewhat confusingly for both LEGO and Star Wars collectors, it seemingly had no place in any of the story lines taking place on TV, comic books, novels or the web at the time, and it was only the Rebelscum's realisation of the set's origin that gave the conjoined community any closure. 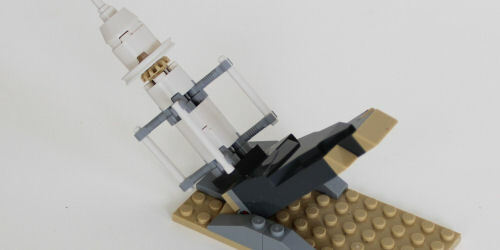 The set itself is described by LEGO as a variant of the iconic Snowspeeder that featured "some fascinating details, including desert camouflage elements, opening minifigure cockpit and button-activated spring-loaded shooters" and came with a toppling moisture vaporator and a snake. Until recently the only clue to the vehicles place in the Star Wars timeline was the box art. It showed an Imperial Star Destroyer buried in a desert landscape and an archway reminiscent of the gates to Niima Outpost, putting the scene clearly on Jakku. It wasn't until the non-canonical LEGO All-Stars show ran on Disney's two streaming platforms - Disney XD YouTube and DisneyNOW - in the last quarter of 2018 that the answer came to light. In the eighth web-short of the series., titled "Power At Jakku", we witness the Freemaker family assist the Rebel Alliance in the final battle of the Galactic Civil War. 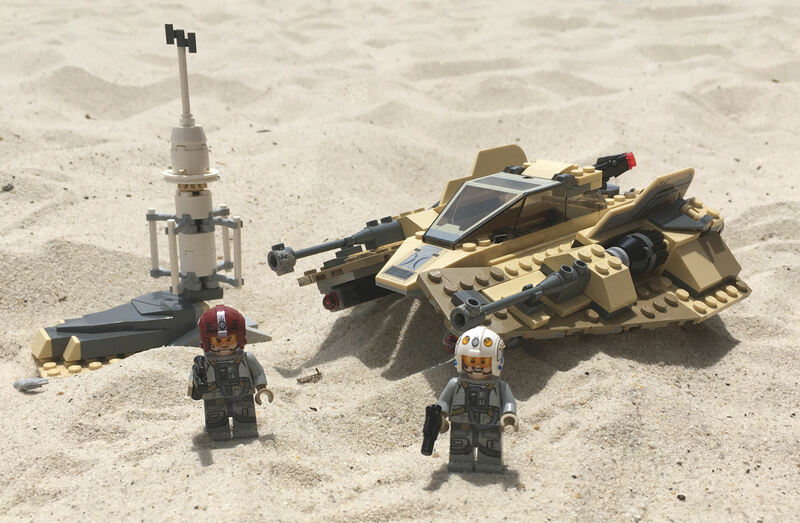 In the four minute episode Lieutenant Valaeria, a regularly returning character in LEGO Star Wars: The Freemaker Adventures, is in command of a squadron of sandspeeders. 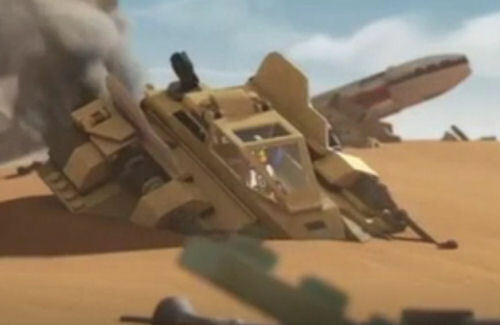 During the ground campaign her sandspeeder is disabled by debris and she crash lands in front of an approaching AT-AT. 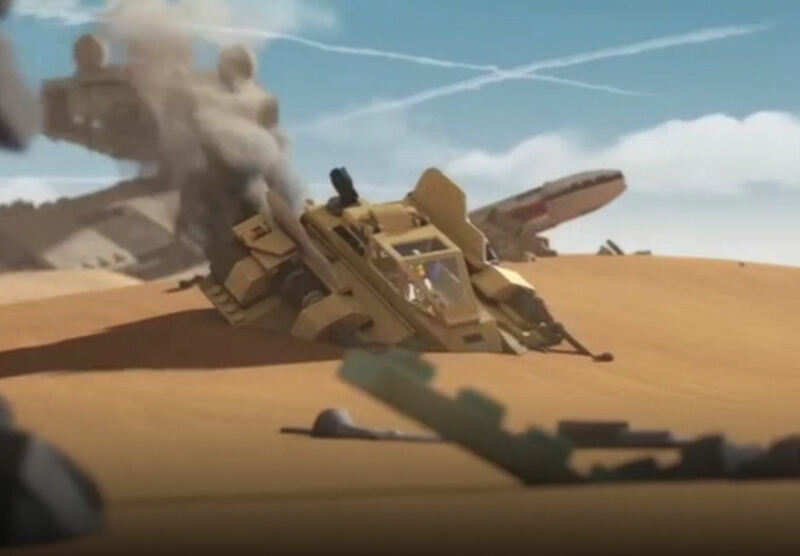 The timely arrival of the Freemakers means the impending destruction of the Sandspeeder is averted and the sandspeeder is repaired, allowing Valeria to return to the battle. Interestingly the set was released a year ahead of the All-Star series, which begs the question "why didn't its release line up with its source?" I guess the full and complete history has yet to be written. 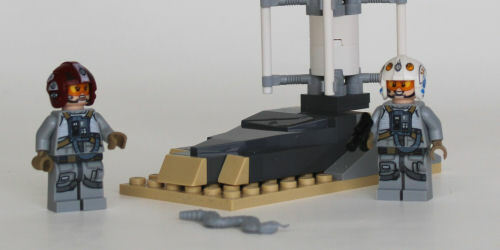 Though this set seems to be nothing more than a colour-bland snowspeeder, it does have some reedeeming features. 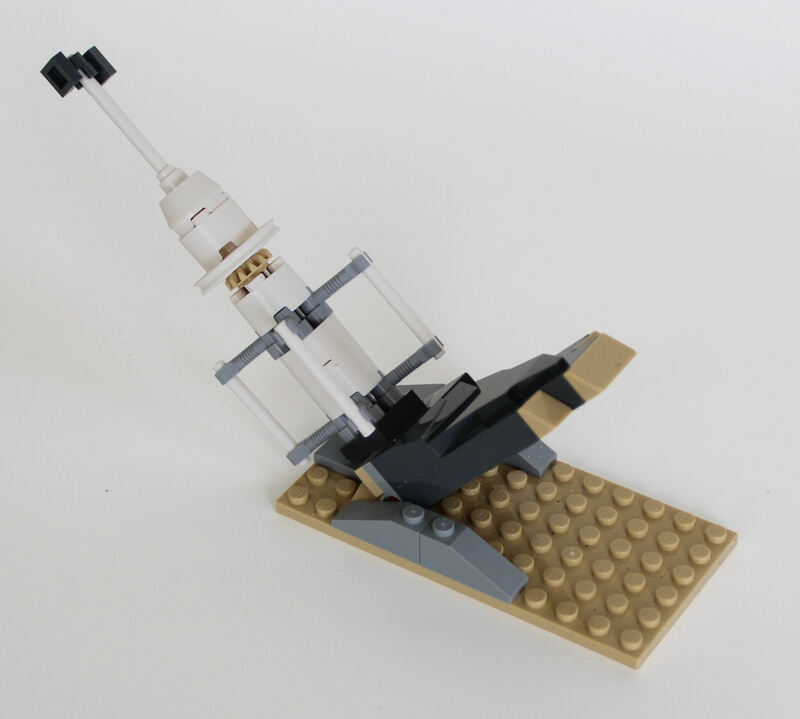 We turned the model over to Oscar, our tame LEGO builder, for his thoughs and input. 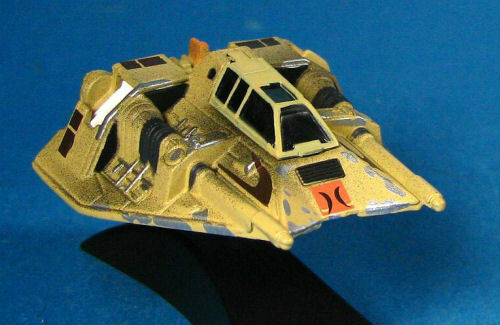 "The sand speeder was very fun to build, I liked the use of different tan and beige to show it is camoflaged for sand. 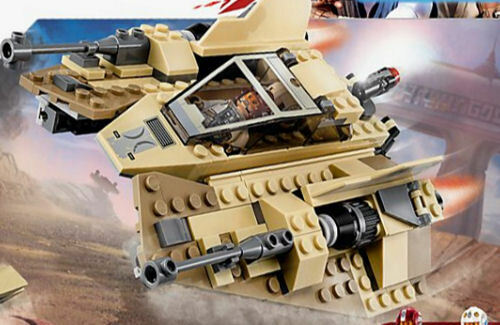 The design was interesting, I liked the double-hatched cockpit, how the laser cannons were part of the wing and the extra fins which could be good for stabilising the sandspeeder as well as heat sinks on the laser cannons. The additional vaporator showsit is from a desert planet. " His final rating is 3 out of 5 though feels that it should have been a 5, but dropped the score because the cockpit hinge was a bit weak. 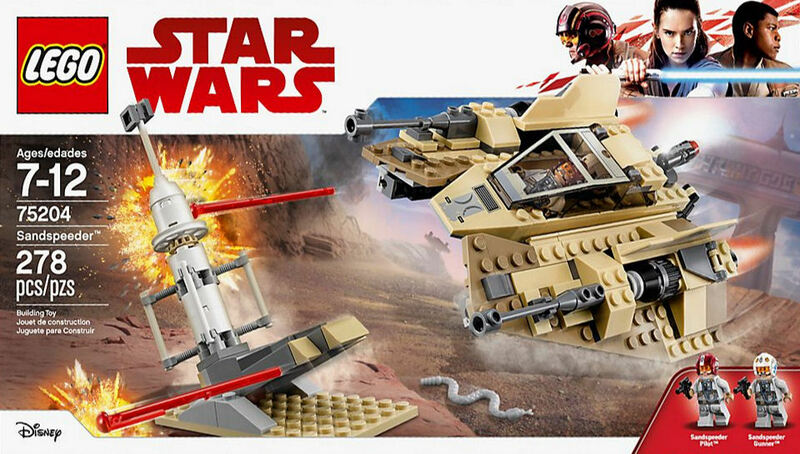 75204 Sandspeeder has been out just over a year now and is already limited in stock. 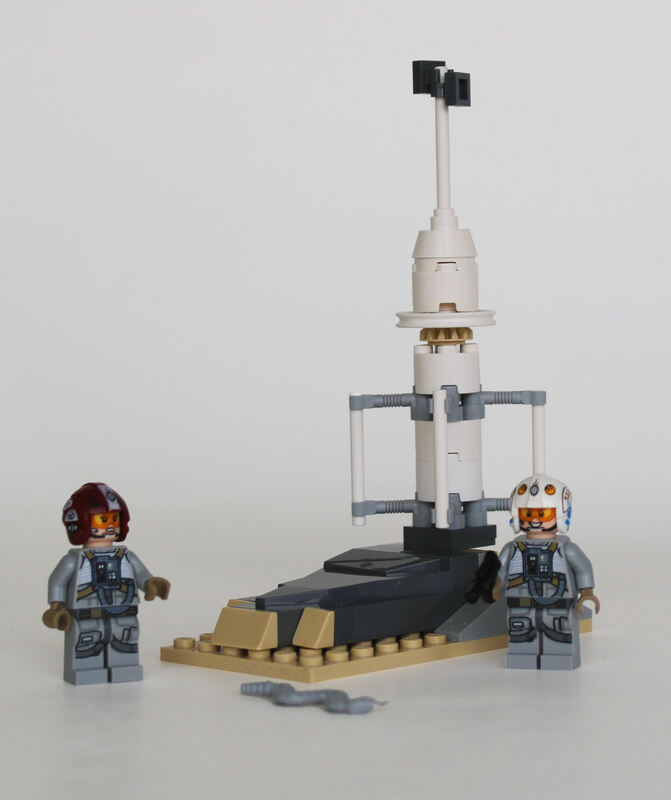 If you can't find this retailer exclusive at Target, you could try shop.LEGO.com where it occasionally pops back in to stock. 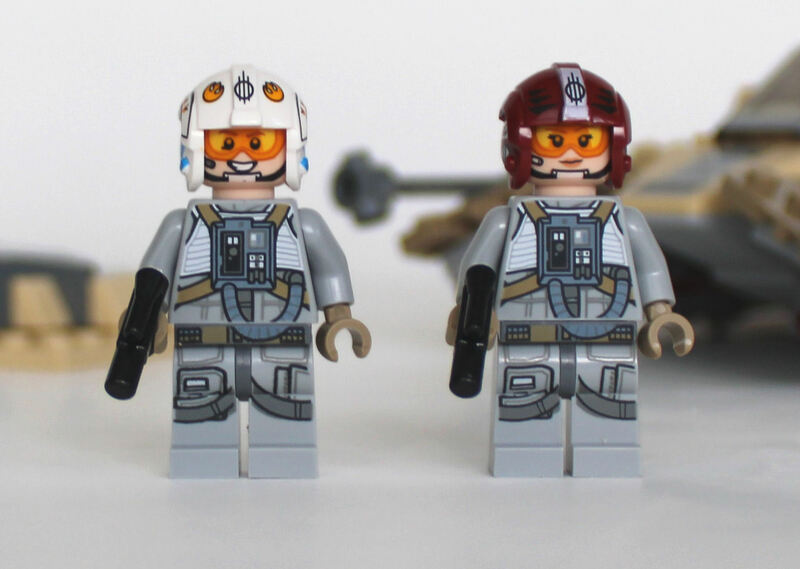 If you've got this, or are thinking of adding it to your collection, why not jump over to our this set's forum thread and express your thoughts with other members of the Rebelscum community.